Just two days after my first bee-keeping experience, I was able to take part in the processing (or lack thereof) of the honey. It was pretty simple and amazingly delicious. I’ve never tasted honey so good. Once the slats from the hive were removed and were free of bees, we used this comb tool to gently brush across the capped combs to reveal the honey inside. Then, the slats were placed in this manual centrifuge which shoots the honey out of the slats and onto the sides of the cylinder, allowing the honey to drip down into the bottom. At the bottom lies a screen through which the honey drips to prevent any unwanted particles ending up in the final honey product. Manually cranking this centrifuge was hard work! Next, the honey was poured through some cheesecloth for extra straining (removes any wax particles without removing the minerals and pollen), and then finally divided up into glass jars. No heating, no added fillers (sugar cane or corn syrup) or preservatives – just straight raw honey. The good stuff. Experiencing something this pure and being close to nature in a way I’ve never been made me a very happy lady. 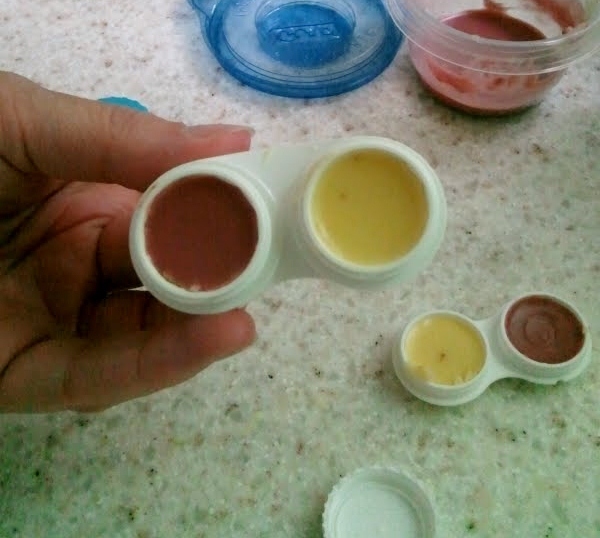 The leftover wax can be chewed like gum, or it can be melted down and turned into chapstick; which is just what Lindsey (my sister in-law) did! We left all of the equipment out by the hive so the bees could clean it up for us; they did a pretty good job cleaning off the honey. Honey bees transform the nectar they consume from flowers into honey by way of regurgitation, and store this honey in wax honeycombs. Honey can be used as a topical anti-bacterial for wounds. The type of flower the honey bee pollinates determines the flavor of the final honey product. Some research supports antioxidant activity of raw honey (the heat from pasteurization eliminates some phytonutrients). Honey is about 80% sugar and 20% water. Honey has trace amounts of B vitamins, iron, potassium, zinc, copper, selenium and manganese. As mentioned previously, honey bees will flee overcrowded hives and will die with one sting. Honey bees provide pollination for a wide variety of crops, flowers and plants, making the Colony Collapse Disorder (CCD) an important matter.